Auschwitz is one of several places I would like to see. The Auschwitz concentration camp is an international symbol of human tragedy, terror, and genocide. It was originally intended to be another of the regular concentration camps that Nazi Germany had begun to create in the 1930s. It finally became a part of “the Final Solution to the Jewish Question.” Today, the Auschwitz virtual tour commemorates all the victims, the lives lost, and those who suffered agonies as a result of the Nazis’ actions. Auschwitz is one of the four extermination camps that were built during the occupation of Poland. It was the biggest of the facilities in which the vicious genocide plan was implemented. 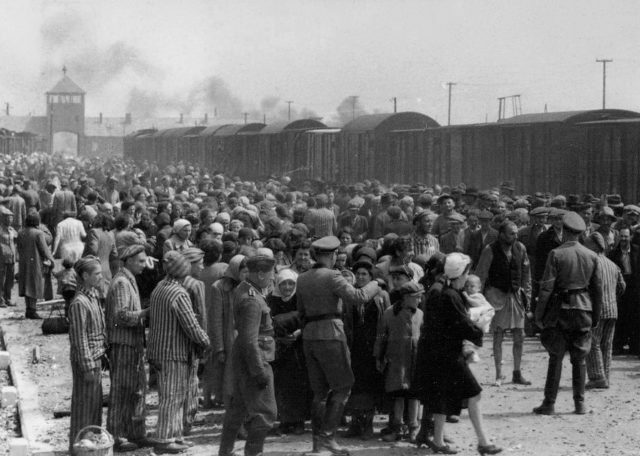 Prisoners arriving at Auschwitz II-Birkenau. In 1940, the Nazi German authorities constructed a camp here that was initially intended to serve as a prison, for the confinement of political prisoners and oppositionists, mainly of Polish nationality. It gradually evolved until it finally became a place of mass extermination. It witnessed the deaths of approximately 1.1 million Jews, 150,000 Poles, and 30,000 people of other nationalities. KL Auschwitz is the only concentration camp to be added to the UNESCO list of World Heritage Sites. Since 1947 part of the complex has served as evidence for the crimes of Nazi Germany. Today it is one of the most visited places in Poland. The Auschwitz Concentration Camp Tour forms a kind of obligation for people nowadays, as evidence of a human tragedy that took place not that many decades ago. Listen to the stories told by the experienced guides on behalf of all the victims. 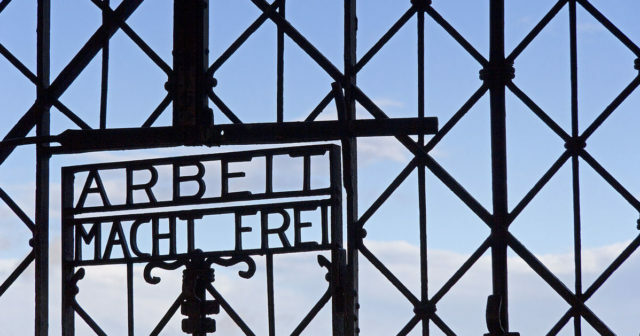 The Virtual tour of Auschwitz begins as you pass through the main gate, beneath the famous Arbeit mach frei sign, which translates as “Work brings freedom.” This is one of the most important symbols of such extermination and concentration camps. 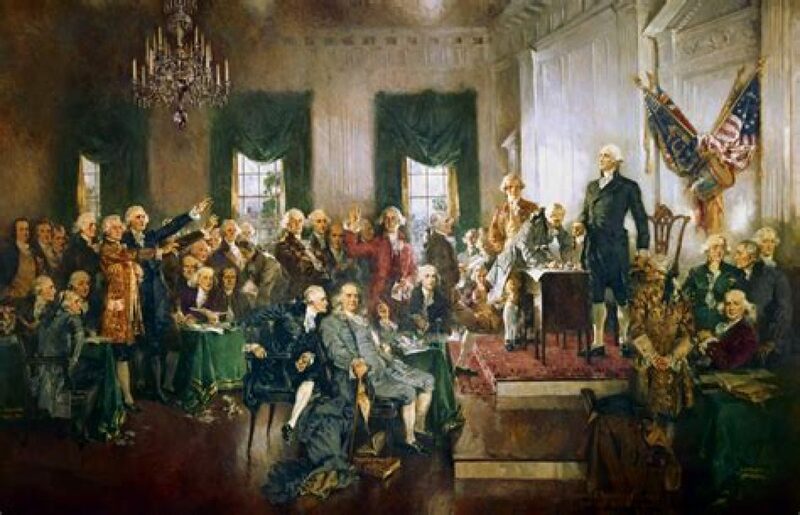 The mocking and cynical motto was aimed to encourage the inmates to undertake hard work that would supposedly free them. The sign was made by an artistic blacksmith named Jan Liwacz, who was an inmate at the time, and Kurt Muller, a member of the camp crew. According to one legend, the inmates who were putting the sign up deliberately turned the letter B upside down as a sign of resistance. After the camp was liberated, the sign should have been transported to the East by Soviet soldiers. However, a former inmate, Eugeniusz Nosal, and a cart driver bribed the guard who was watching the train with a bottle of alcohol, and hid the sign in a building that belonged to the city authorities. 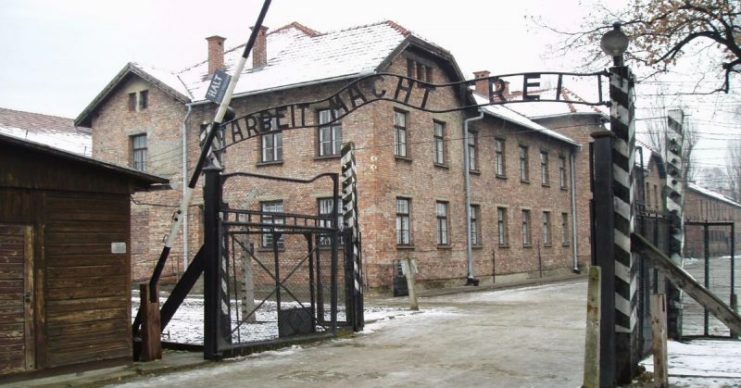 The sign was put back in position during construction of the Auschwitz-Birkenau State Museum. The camp blocks and buildings will engrave themselves in your memory. They were used for a number of purposes while the camp was in use. Currently, they serve as exhibition rooms, where copies of documents, photographs, sculptures, models and exhibits present the real picture of human tragedy and suffering. Block 4 has graphic boards, documents, and photographs to illustrate the reasons for imprisonment, the inmates’ deportation, and extermination. 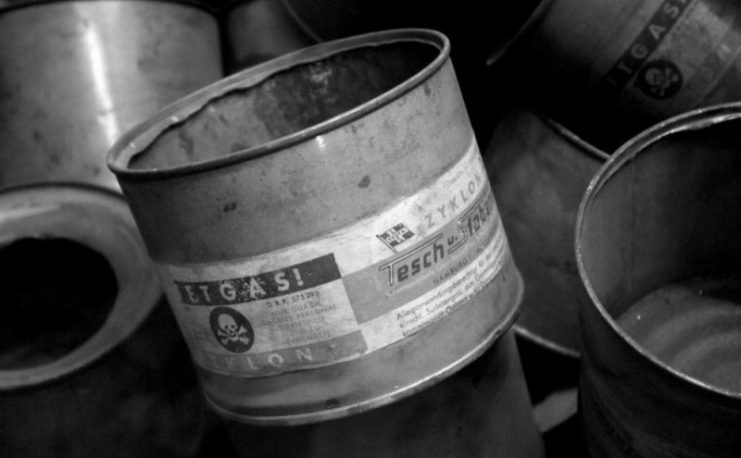 The visitors can also see exhibits of genuine relics, such as the empty cans that once held Zyklon B, a poison used in the gas chambers, and remains from the destroyed crematoria. The victims’ hair is an especially dramatic proof of the crimes. Block 5 features all items taken away from the murdered prisoners. Very often these items were all the inmates had, having packed them for their last journey. They include everyday objects, such as dishes, toothbrushes, glasses and children’s clothes ripped off them as they suffered their tragic fate. Block 6 shows the sad and shocking reality of the inmates, starting from the moment they arrived at the camp. Here you can see the faces of the victims, deprived of their identity, dignity and life. 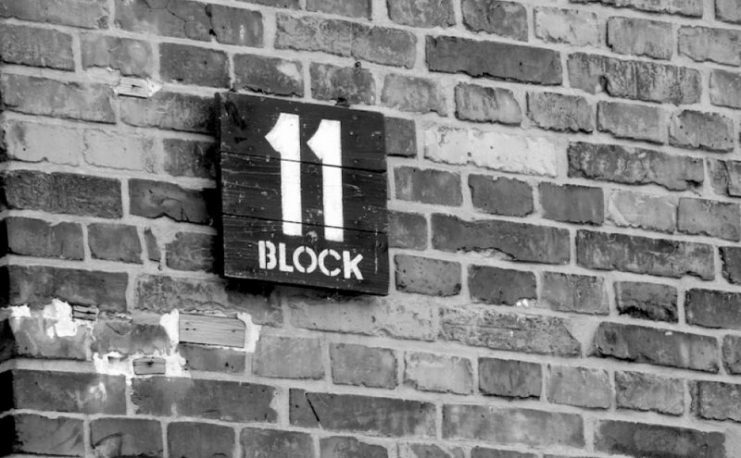 Block 11 served as the camp prison for those inmates who were suspected of conspiracy, who attempted to escape, sentenced to starvation or kept in a standing cell. From 1941, political prisoners were also kept here, and the basement was a place of mass execution using Zyklon B. 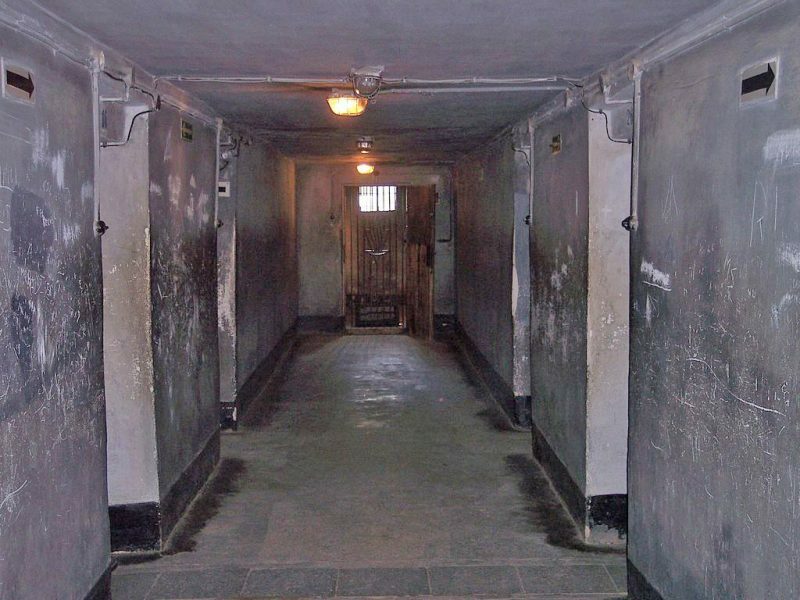 Here you can see the cells, court room and the place used by the SS men during their work shifts. Very close to Block 11, you will visit a courtyard where executions were carried out. This place witnessed the vicious murders of thousands of people of different nationalities. The Auschwitz visit experience becomes really difficult once you enter the area of the crematoria and the gas chamber. The buildings are mostly kept in their original condition. The crematorium was used until 1940 and was equipped with three ovens for burning corpses. 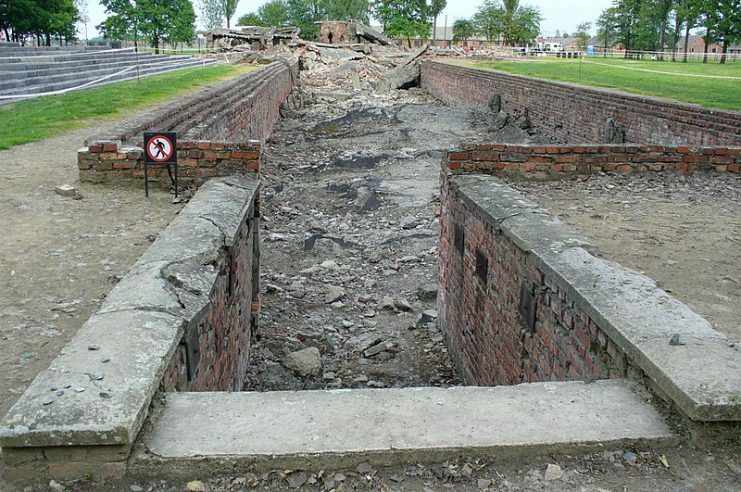 The camp authorities stopped using Crematorium I in Auschwitz once the crematoria in Birkenau were opened. The gas chambers and crematoria are extremely moving for all visitors during the Auschwitz concentration camp tour. Visitors can see the nail marks left by innocent people, desperately attempting to escape death, and left as irrefutable proof of the victims’ will to survive, so brutally taken away. A visit to Auschwitz is an unforgettable experience. Concentration camp tours allow you to touch a real proof of the crimes carried out by Nazis on other humans. It is a place where men, women and children were tortured and mass exterminations took place. Executions were carried out by shooting or in the gas chambers, and horrific experiments were performed on the inmates. It tells a story of the ordinary people who died in the name of a shameful ideology. Together the real and the virtual tours of Auschwitz build an awareness of old crimes and very clearly explain why they should never happen again.